Top Marketing KPIs (Key Performance Indicators) are the metrics that matter for any company that wants to know and improve progress to a desired goal. No company should begin this journey without a road map to stay on track as the video explains. KPIs are the GPS for any marketing plan. But the number of possible marketing KPIs can be bewildering. So the choice of the right ones are a critical factor to make the right decisions. Here are 21 top marketing KPIs and why they matter for your company’s business success. PROFITS: Are revenues minus expenses. Profits are the most important financial metric because a company can’t secure financing from a bank, attract investors, fund its operations, grow business and stay in business with turning a profit. SALES (VS. REVENUE): Are the products and services a company sells. Revenue is the money received by the company from its varied activities. Sometimes, they are the same. When different, since every company’s success depends on the products they sell, sales are a better indicator of a company’s current vitality. SALES MARGIN: Is the amount of profit generated from a sale for a product or service. By analyzing sales margins, you identify which products are the most (and least) profitable. CUSTOMER LIFETIME VALUE (CLV): Is a prediction of profit attributed to the entire future relationship with a customer. 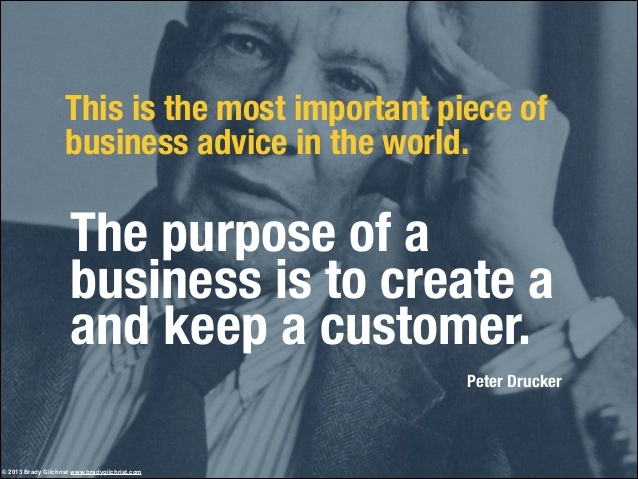 It is the monetary value of the customer relationship. It is an important metric because it represents an upper limit on spending to acquire new customers. It is also an essential element for calculating payback of marketing investments. ANNUAL CUSTOMER VALUE (ACV): Is the term used to describe annualized earnings. ACV takes into account either a first-time subscription fee or first-time offer that may effect short-term results. But it is not as important as CLV for business planning. COST PER ACQUISITION (CPA): Is the cost it takes to acquire a customer. CPA is a key metric for any marketing department because you don’t want to spend more money to convert a customer than they’re worth. CONVERSION: Is the point at which a recipient of a marketing message performs a desired action. It means someone has responded to your call-to-action. CONVERSION RATE: Is the percentage of users who take a desired action. Since there has to be a base against which to divide the actions, it is most often a visit desired web destination like a website, landing page or social media page. MICRO AND MACRO CONVERSIONS: A micro conversion is a small step on the path of a visitor towards your primary conversion goal (usually called a macro conversion). For most websites, the macro conversions are either making a purchase, giving a donation or providing a lead. Because conversions are critical marketing KPIs and the customer journey usually takes a number of steps to get to the desired goal, micro and macro conversion are an important sub-set of conversions. QUALITY LEADS: Is a lead that can convert into an actual sale of your product or service. Because marketing plans often produce leads but the quality of the leads is debatable, especially with sales people, the conversions steps a lead has to take to be a quality lead is worth scoring for marketing KPIs. TRANSACTIONS: Are the numbers of sales of a product or service over a certain time period. Transactions are created for every order that results in an exchange of money. AVERAGE ORDER VALUE (AOV): Tracks the average dollar amount spent each time a customer places an order on a website or mobile app. To calculate your company’s average order value, simply divide total revenue by the number of orders. WEBSITE VISITS: Are individual visitors who arrives at your website and proceeds to browse. A visit counts all visitors, no matter how many times the same visitor may have been to your site. A “unique visit” refers to a person who visits a site at least once within the reporting period. Each visitor to the site is only counted once during the reporting period. VISITS BY CHANNEL: Visits come from a finite number of channels – Organic Search, Paid Search, Direct, Referral, Social and Email. Since you are applying resources and money to drive website visits from these channels, it is important to track visits by channel to determine how your resources and funds are best invested. BOUNCE RATE: Represents the percentage of visitors who enter the site and then leave rather than continuing to view other pages within the same site. Bounce Rate is thought to be a measure of a website’s relevance to its visitors. KEYWORD SEARCH ENGINE RESULTS PAGES (SERP): Is the list of results that a search engine returns in response to a specific word or phrase query. Web designers and site owners use search engine optimization (SEO) methods to make their sites and pages appear at or near the top of a SERP. LINKS (OR REFERRALS): Provide a simple means of identifying and measuring other websites that list your website on their site and are sending visitors your way. COST-PER-CLICK (CPC): If you buy Paid Search, Digital Ads, Social Media Ads, Sponsorships or Influencers, Cost-Per-Clicks is the one metric that puts them on equal footing by showing the price you pay for each click. CLICK-THROUGH RATE (CTR): Is a ratio or percent showing how often people who see your ad end up clicking on it. CTR is an indicator of ad relevance to viewers. EMAIL LIST SIZE: People who sign up to receive your emails or newsletters express a higher level of interest in your business. If you are taking the time and care to grow your email list so it represents quality contacts, the number of people on this list are a business asset worth monitoring. SOCIAL MEDIA FOLLOWERS: Studies show people who follow your company on social media sites are more likely to continue using your products and services as well as recommending them to others. So the size of your social media followings on sites like Facebook, LinkedIn, Instagram, Twitter and YouTube are also worth tracking. Peter Drucker said the “purpose of a business is to create and keep a customer.” If you consider these marketing KPIs, you’ll have a much better chance of succeeding. Do these seem like the top marketing KPIs to you? Do you need held determining the right KPI scorecard for your business?